The schedule chartered flight is a result of the joint collaboration between Innosar Holiday Sdn. Bhd., United Cat (M) Sdn. Bhd. and Malindo Airways. The route flies twice weekly between the southern China city and Kuching, the schedule depicted below. In conjunction with the inaugural flight a five day 4 nights media familiarization will also be organised jointly with the Sarawak Tourism Board. This schedule chartered flight is supported by the Ministry of Tourism, Arts, Culture, Youth and Sports and the Sarawak Tourism Board. 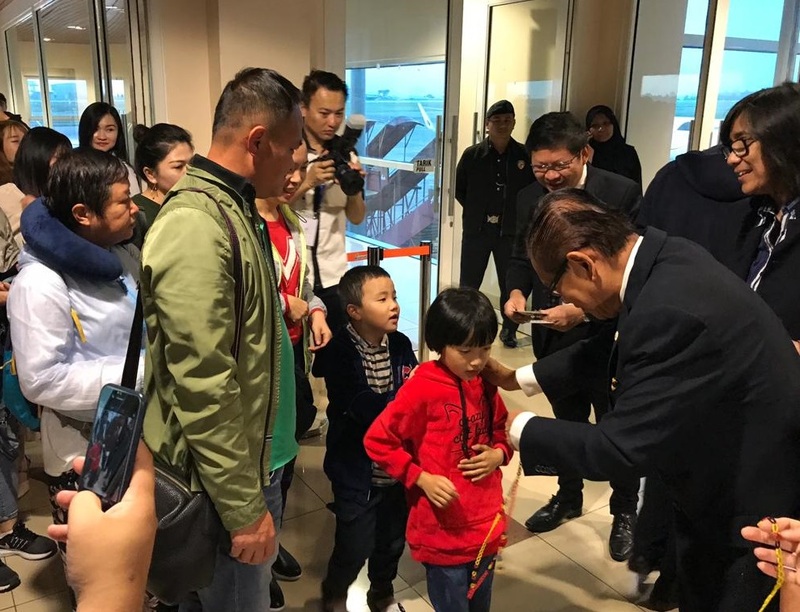 Assistant Minister of Tourism, Datuk Lee Kim Shin, garlanding disembarking passengers with Sarawak-themed bead necklaces.